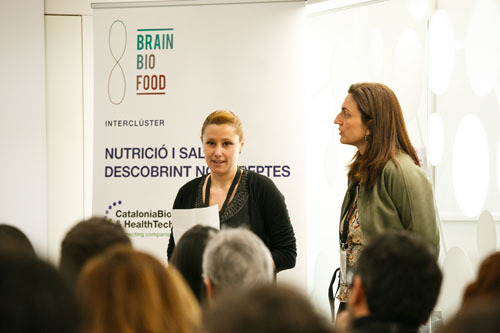 The Mental Health Cluster of Catalonia, CataloniaBio & HealthTech and the Food Nutrition Cluster, with collaboration from ACCIÓ, have pooled more than 50 companies for an intercluster event on the new challenges in nutrition and health. 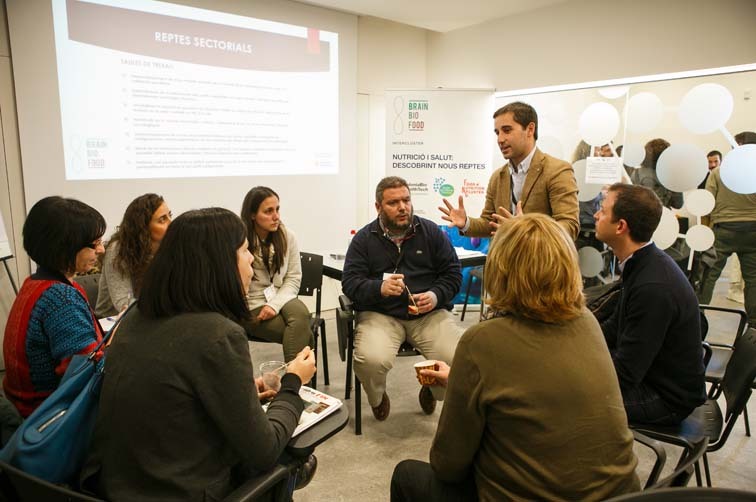 Palau Marianao in Sant Boi de Llobregat hosted the first of three workshops in this programme on 24 January. The session began with a presentation from each of the cluster managers: Marta Sánchez Bret, Melqui Calzado and Eva Olivera. The aim of this intercluster is to find solutions to the needs identified previously by three complementary sectors: biomedicine, mental health and nutrition. "Collaboration among clusters gives us the critical mass and allows us to complement the value chain in order to find new solutions," they remarked. After that, there were two inspirational conferences, by José Antonio Moreno, head of R&D at Laboratorios Ordesa, and Dr Juan Sabater-Tobella, president of Eugenomic and honorary president of the Royal Academy of Pharmacy of Catalonia. Moreno highlighted that the microbiota is currently the main focus of nutrition and health and that we need new technology to analyse and process it. "When the microbiota is off-balance, it leads to dysbiosis and health problems like obesity, intestinal inflammatory disease, colorectal cancer, diabetes and anxiety, among others," he explained. The microbiota can be balanced using prebiotics and probiotics. Dr Sabater-Tobella explained the role pharmacogenomics will play in reducing the number of adverse reactions to prescribed medicines, which cause 197,000 deaths in Europe each year. The solution is to use computer software to prescribe the most appropriate drugs (appropriate dose for each patient depending on their genes and other medications they are taking). However, "This software must be registered as a healthcare product with the Spanish Agency of Medicines and Medical Devices," he clarified. Developing new model animals to study the microbiota and for preclinical validation of drugs. Determining the impact of metabolic profiles on mental health and establishing profiles for certain pathologies. Raising awareness in society and the medical community on the importance of nutrition to health and establishing an action plan. Delving deeper into the relationship between the microbiota and cancer and determining its role in prevention and oncology therapies. Developing new bioinformatics tools to take advantage of big data in nutrigenomics, pharmacogenomics and the microbiome for diagnosing and treating pathologies. Studying the interactions between drugs and nutrients in general, and in mental disorders, specifically, to define personalised guidelines for eating habits and pharmacology. Establishing, for patients with a specific nutritional deficit, the personalised supplement guidelines based on their nutrigenomic profile. The next intercluster workshops will be held on 5 April and 18 June and will be geared towards generating collaborative projects to address these challenges.